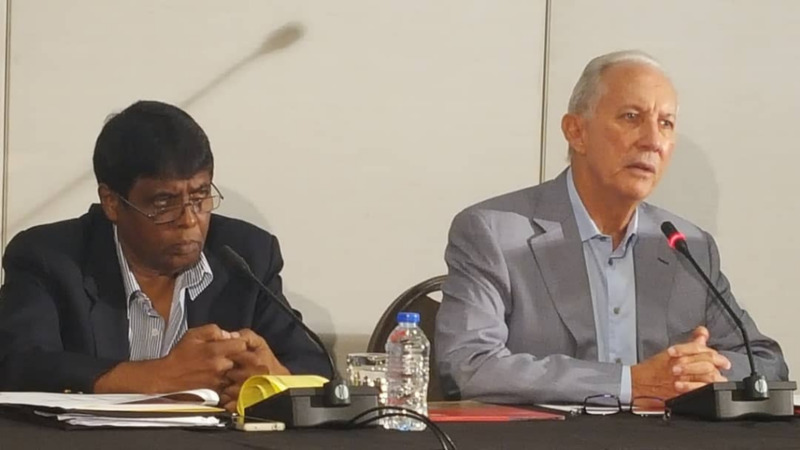 Opposition MP and UNC chairman David Lee slammed a media briefing presented by the board of Petrotrin on Tuesday, calling the conference a 'baseless public relations stunt and waste of taxpayers’ money'. In a statement issued Tuesday, the Pointe-a-Pierre MP David Lee said the media conference was an attempt to 're-establish a dying narrative'. 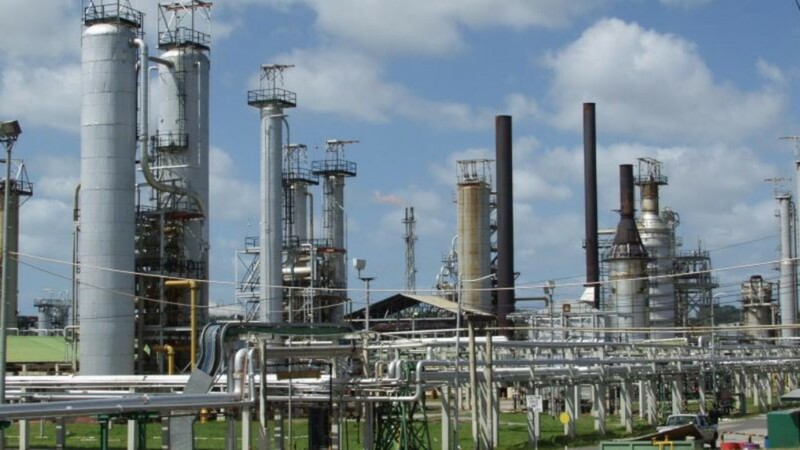 Lee's statement came after chairman Wilfred Espinet angrily answered 'all, all, all' when questioned as to the exact number of Petrotrin employees who would be retrenched following the shutdown of the company's refinery. “A baseless public relations stunt and waste of taxpayers’ money" is the best way one can describe the media briefing held by Petrotrin Chairman Wilfred Espinet together with the other board members of the state oil company. After listening to this morning's press conference our citizens must ask themselves, “What was the purpose of it?". "This was clearly an attempt by the Government and Espinet to re-establish their dying narrative of anti-Petrotrin rhetoric in our national conversation given that the majority of citizens have been speaking out against this decision and highlighting the incompetence, malice and vindictive nature of this administration to destroy our national patrimony," Lee said. Lee said that four weeks later, neither government nor the boad can give citizens answers to critical questions being raised. "What our nation witnessed was the shameful admission by those who said this was a properly planned decision say that the board is yet to confirm the source of funds which would be paid to workers, the board has not yet confirmed where this nation's supply of fuel would be purchased from while also admitting that they have not fully explored nor cemented the market where our crude would be sold." "How could such important details not be confirmed as yet? Our nation must further question if affected workers would be paid before the Christmas season or thrown into further quandary given that they would lose their monthly income?" Lee criticised Espinet's 'angry outburst' and declaration that he would not be answering anymore questions on 'numbers'. "The angry outburst by Chairman Espinet that he wouldn’t be entertaining anymore questions on employees as well as his confirmation that he couldn’t state how many workers worked at Petrotrin is not only an insult to the workers who have stood faithful to the company for many years but further indication that this board and by extension government has not properly valuated, planned or have a clear direction on the magnitude of this situation." "This entire Petrotrin crisis smells of dishonesty, insincerity, incompetence and ill will towards the citizenry by the Government as up to this day, as seen this morning they are unable to present the nation with the name or entity which has provided the professional advice to aid them in making this decision," he said. 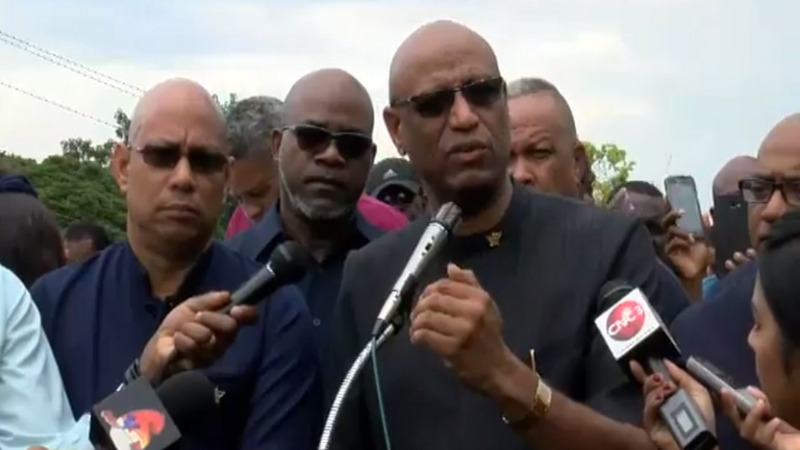 Lee also slammed 'government's strategis dishonesty' as he said Prime Minister Dr Keith Rowley said initially that only 1,700 workers would be sent home, however, Energy Minister Franklin Khan said during a recent Parliament sitting that the actual number would be 4,700 workers, consisting of 3,500 permanent and 1,200 non-permanent workers. "Even the commitment by the Prime Minister that displaced workers would be rehired at the “new Petrotrin” has been changed as the Chairman is now stating that applications would be accepted from throughout and the best workers selected," Lee said. Espinet denied that there was any attempt on the Company’s part to mislead the population on the number of workers to be sent home. The transition period for the shutdown will begin on October 1, 2018.